Newly award-winning (sorry, I’ll never tire of saying that!) TRACK TWO ON REPEAT is on sale this week for $0.99! Get it while it’s cheap! There are moments in my life that I wish I could relive time and time again on demand, and two moments from the awards banquet fall into that category for me. I’m sure you can guess which two moments if you saw any of my social media posts lately. The banquet started with a cocktail hour and buffet dinner although I didn’t have much of an appetite. My husband and I gorged ourselves on Buffalo Wild Wings the night before, so when we saw chicken again, we inwardly groaned and ended up filling our plates with mostly sides. I must say though, it was good chicken, the little bit I had. 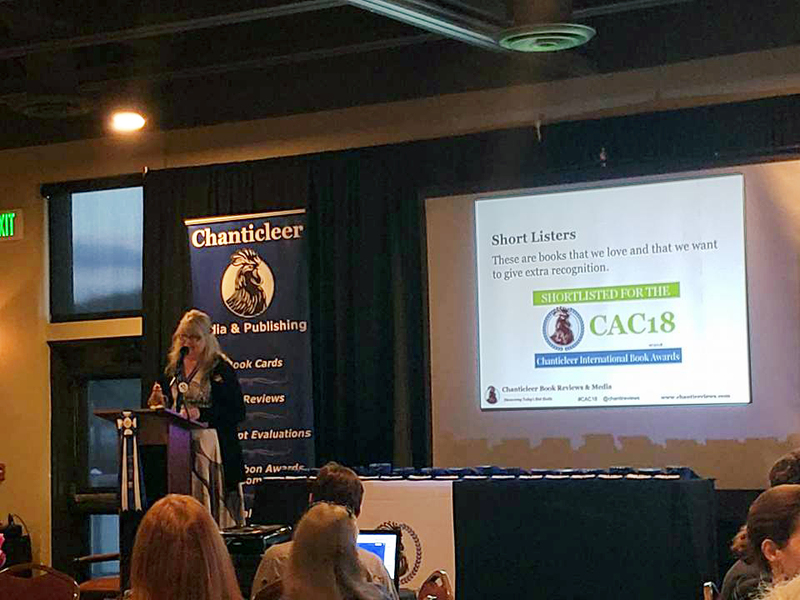 Then, Kiffer Brown, founder of Chanticleer Book Reviews, congratulated all the shortlisters present and explained the high-level process of how the winners are chosen. The judging panel comprises top authors, editors, and other industry professionals who lend their time to finding new and promising works of both fiction and nonfiction. Among a pool of thousands of international applicants, each of the 16 genres is whittled down to around 20 finalists each (more for some genres, less for others). From there, a first place winner is declared for each of the 6 categories within a genre, and a grand prize genre winner is named from those 6. THEN, an overall grand prize winner for best book of the year is named among all the 16 genre winners. 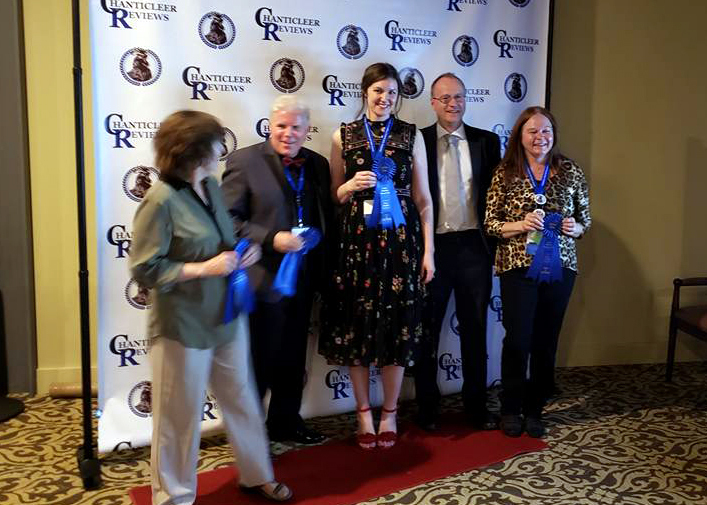 The awards ceremony began with past winners or industry folks presenting each genre’s winners with blue ribbons and a hug from Kiffer. As I waited for my first category to be announced, I spotted Rebekah Stelzer, or R.L. Stelzer, at the next table over. Like me, she was also in the running for the middle-grade fantasy award, and as a fellow Rebekah, I had to go over, say hi, and wish her luck. The nerves kicked in as they announced the middle-grade winners. As they called off each one, I was becoming resolved that Flowerantha would not be called. When they called Rebekah’s name for The Queen and Knights of Nor, I was excited that a Rebekah had taken the prize after all! Right after middle-grade came the YA category. My last chance for an award. I was even more nervous at this point and coaching myself on what my gracious loser face should look like if I didn’t hear my name. But then I heard “Track Two on Repeat by Rebekah N. Bryan” and saw the pure joy and pride on my husband’s face. Walking up to the stage, I tried to keep my cool, but my cheeks were fixed in a permanent grin, and I couldn’t stop nervous giggling. This book that has so much of me in it, and I can honestly say it came from the heart, won!! I could relax now. My friend Sara Dahmen (who has won a couple of these in the past) came over and gave me a big hug. Then, I settled into my seat to cheer on some other shortlisters I met at lunch. Apparently, I pick good tables because Peter Greene came away with the grand prize win in late historical fiction and T.K. Riggins won the grand prize in fantasy. Holy moly, dudes! We ended up having four first-in-category winners at my dinner table too! With only a few genres left to go, my friend Sara took the stage to announce the winners for the Little Peeps award for early readers. I took a video of her introduction, but then I stopped the video to write down the winners, as I had for all the other categories. Needless to say, I was shocked when she read off, “Flowerantha by Bek Castro!” and she gave me a look like, “get up here, girl, that’s you!” I walked back up to the stage, confused but nonetheless pleased. Was there a clerical error? My name wasn’t even on the list! She later explained that they do sometimes move books if they feel like they’re better suited for another category. Like my husband said, take it and run! So I did! At the end, they announced the grand prize winners for each genre (including the two talented guys I mentioned before), and then the best overall book. That honor went to Michelle Rene with her book Hour Glass. 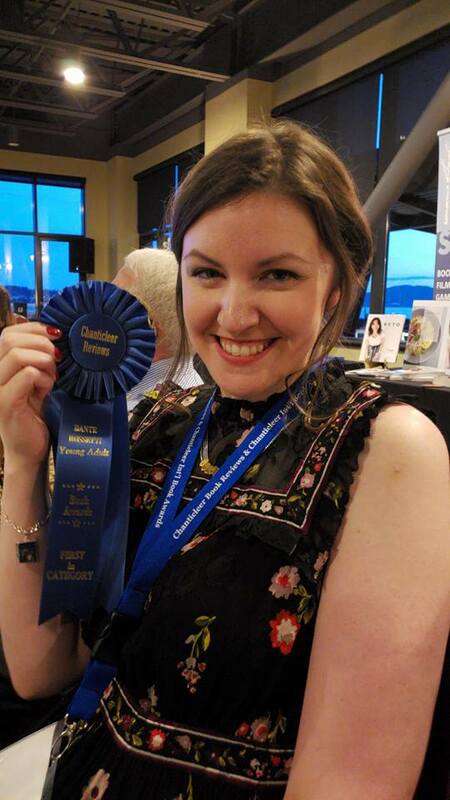 When the awards banquet came to a close, I bought a couple books at the book room and partied it up at the after party, making for a super fun end to this memorable day. THANK YOU to everyone who made this possible (you know who you are), including you, reader.